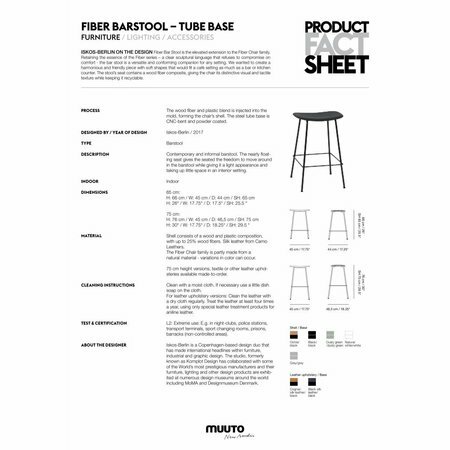 The Fiber Bar Stool/Tube Base is contemporary and informal. 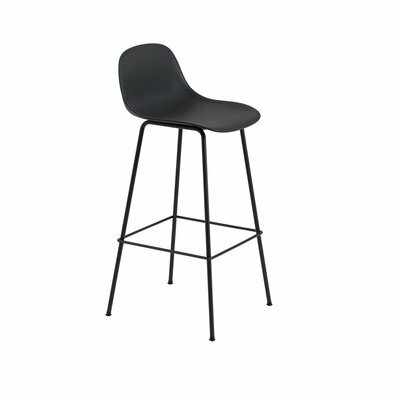 FIBER BAR STOOL LEER / TUBE BASE 65CM. 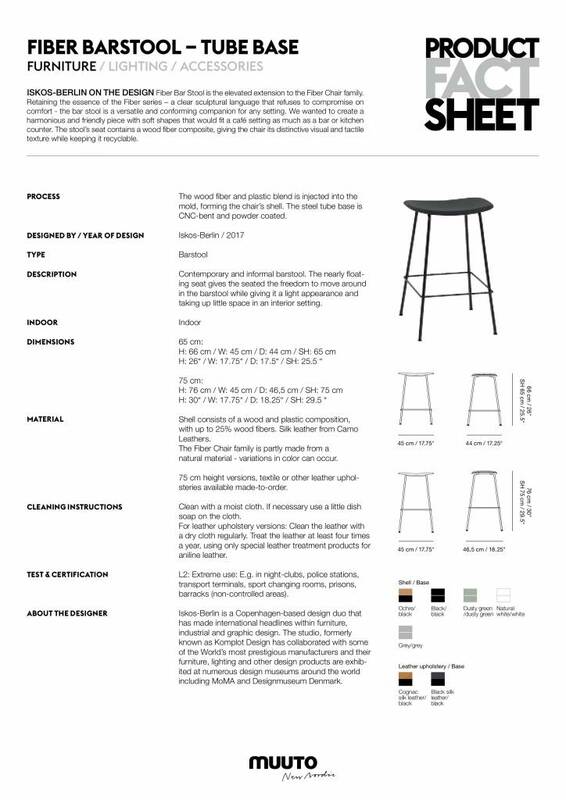 With an expression that is both comfortable and harmonious, the Fiber Bar Stool is a design with an unobtrusive yet distinct identity. Offered in low and high versions, the latter offered with or without backrest, the Fiber Bar Stool encapsulates the ideals of unpretentious design with a human touch. A design by Iskos-Berlin for Muuto. Shell consists of an innovatove composition with plastic and up to 25% wood fibers. Silk leather from Camo Leathers. Wood base is made from solid, wet lacquered oak wood. The Fiber Chair family is partly made from a natural material - variations in color can occur. Clean with a moist cloth. If necessary use a little dish soap on the cloth. For leather upholstery versions: Clean the leather with a dry cloth regularly. Treat the leather at least four times a year, using only special leather treatment products for aniline leather. If you would like to have the 75CM version, please check the drop-down menu ( no extra charge).